What are unicorns fueled on, and why do they poop out rainbows? Well since you're probably not a unicorn or some other magical creature, you probably want to pack something that won't make you poop out rainbows. 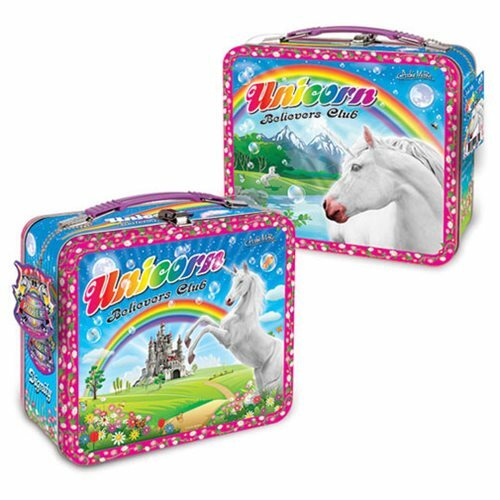 Instead we recommend you pack this 8-inches x 7-inches x 4-inches Unicorn Tin Tote with heathy snacks that will make you feel as magical as a unicorn. This tin tote comes with a vinyl charm as is great for use as a lunch box or for storing whatever you want.